This first album​ is a documentation of some of their past and ephemeral performances. In 2008, OttoannA worked on a series of tracks using sketchbooks as scores. Over a few months, references ​to sound entering their daily routine were written down/sketched. This piece came from a scene directly witnessed by the duo: A young artist was playing a work in progress to an older composer, asking for guidance. With the authority of his experience and status, the latter suggested to “get rid of these rubber noises”. 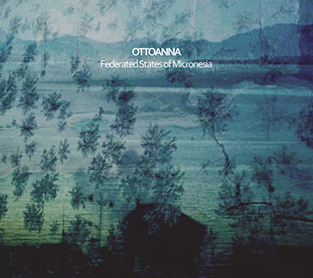 As a response, OttoannA dedicated a track to th​e rejected sound​s​. During the premiere of the series at the Simultania Gallery (Strasbourg, FR), snapshots of the sketched scores were projected as a backdrop for the performance. This piece mixes field recordings with electroacoustics and was partly built through a string of chance operations. The name of geographic coordinates were picked at random to generate a mantra of scattered places. Premiered at the [sonor] Festival 2010 (Lieu Unique, Nantes, FR), part of the sound was recorded and treated in situ before the semi-improvised performance. In 2006, OttoannA recorded the story of Marko Stepanov, an artist from the former Yugoslavia, whose life was radically transformed by being struck by lightning on a solitary mountain hike in England. An excerpt of Marko’s gripping tale was combined with field recordings and electroacoustic layers, subjectively rendering his recollection of survival processes and human interactions. This piece was initially commissioned by the Kontact Sonores Festival (Chalons sur Saonne, FR) and performed there as a multi-channel diffusion. An early piece, inspired by a Chinese proverb, "memory paints with a golden brush”. In 2005, OttoannA were invited by the MU Collective to run a workshop in Paris’ Goutte d’Or (Gold Drop) district. Participants were subjected to a trance-inducing device and asked to remember and describe a familiar itinerary from their past. The process resulted in an eerie static journey re-composed with drowsy voices floating over a droney background. With the voices of Yoko Fukushima, Alexandre Mottot, Florence Spies, Mei Ho . Formed in Paris in 2004, OttoannA (Rodolphe Alexis and Valérie Vivancos) have been generating sound pieces, devices and participative actions. Their passion for processes has taken various shapes including ​ a software that singles out fragments from TV news and rearranges them into a poetic litany, memories of familiar routes recorded on the edge of hypnosis, one-to-one DJ sets, transposing sounds from the streets of Paris to those of New York via boomboxes, a piece based around the tale of a man hit by lightning, a barely audible live set performed from a closet... OttoannA’s semi-improvised compositions create a multilayered soundscape made of collages, fragmented narration, field recordings, electronic and electroacoustic synthesis... Besides, through their publishing and curating activities (under the Double-Entendre umbrella), their ear has become attuned to the possibilities and limitations of fixed aesthetic genres. 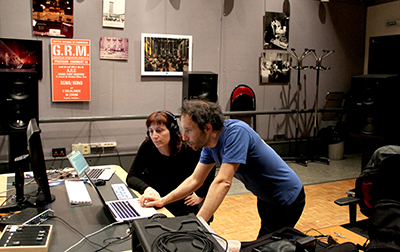 The individual practices of the two artists (field recording and writing protocols) have also helped enrich their audio signature. 2008 - Feb - “Ruber Noises” - live performance - Stimultania - Strasbourg.